With the NFL draft less than two weeks away, we’ve heard about all of the top prospects over and over again. We’ve reached the point where the smokescreens get more ridiculous by the day, the narratives get stronger, and the takes get hotter. That doesn’t mean that there’s not still plenty to discuss though, and while discussion of the top prospects is reaching the point of oversaturation, there are a lot of players flying under the radar who might just prove to be steals for the teams that draft them on draft weekend. Here are 10 sleeper prospects for the 2017 NFL Draft. Here at PFF we have a signature stat known as pass-rushing productivity. It measures a pass-rusher’s production on a per-snap basis, with weighting toward sacks, giving a good indication of how productive a pass rusher is. With that in mind, you’d expect someone like Myles Garrett, or perhaps Derek Barnett, to have led this draft class in that particular stat. Not so. That honor goes to Hendrickson, who racked up nine sacks, 13 hits, and 55 hurries on just 318 pass-rushing snaps, working out at a pressure once every 4.1 pass-rushing snaps. Griffin has started to garner more attention since an impressive showing at the combine, turning in a sub 4.4-second 40-yard dash time. He had his ups and downs in college, but finished his career at UCF with a very impressive 2016 season, allowing just 29 receptions from the 75 passes thrown into his coverage. He stood out during the NFLPA all-star game too, not allowing a single reception from 27 snaps in coverage, and coming away with two pass breakups. In every draft class you’ll find receivers who can be productive from the slot after being drafted late. In this draft class, Northwestern’s Carr is a prime candidate to do just that. Despite not getting much attention, he was incredibly productive in college, with his 12 touchdowns from the slot ranking third in this draft class, and his 1,247 yards ranking fourth. In a draft class that is dominated by talk of the small group of players who will go in the top two rounds, someone is going to find themselves a steal in the form of Toledo’s Hunt. He ranked second in the nation to only Florida State’s Dalvin Cook with 76 missed tackles forced. He also averaged 3.5 yards after contact per carry, proving that he is someone who can get production beyond the help of his offensive line at the college level. Not even the highest-profile cornerback on his own college team, with fellow Wolverine Jourdan Lewis getting most of the acclaim, Stribling is an interesting player to look at in this year’s draft. He needs refinement on technique at the next level, but his raw numbers from 2016 are pretty eye-popping, allowing just 19 receptions over the course of the season. Just one of those 19 receptions went for a touchdown, and he came away with four interceptions and 11 pass breakups. It’s generally accepted that this is a weak offensive line class, and while that is true, you can still find offensive linemen with potential to develop in the later round. Auburn’s Leff is one such player. Leff needs to work on his pass protection, after allowing two sacks, a hit, and 10 hurries in 2016, but his work in the running game, where he dominated at the line of scrimmage and the second level, makes him an ideal candidate to start life in the NFL as a sixth-offensive lineman in certain packages, and a long term developmental option. 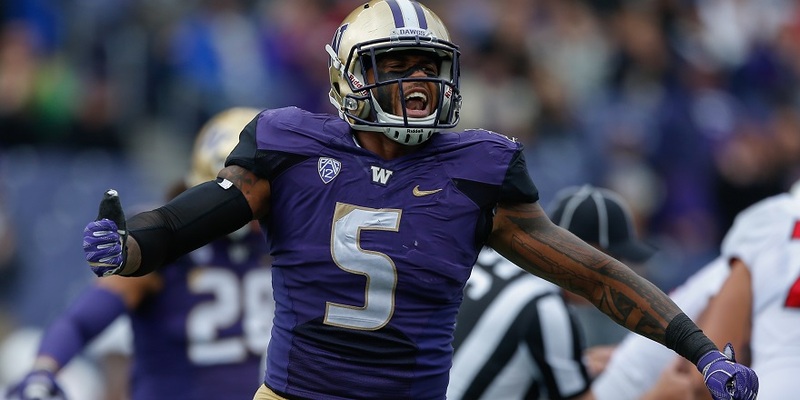 A midseason injury poured cold water on a hot start to the season by Washington’s Joe Mathis, but like Florida Atlantic’s Trey Hendrickson, his snap-to-snap production means he warrants serious consideration in this draft. His PRP rating of 20.2 was second only to Hendrickson among edge defenders in this draft class, averaging a sack, hit or hurry once every 4.0 pass-rushing snaps before injury ruined his season six games in. A Senior Bowl stand out, Tulane’s Smart stood out both against the run and as a pass-rusher in 2016. he had some huge performances over the course of the season, including a one-sack, six-hurry performance against Houston late in the year. While for some he will be considered a bit undersized, Smart’s production over the course of the year, where he racked up seven sacks, seven hits, and 33 hurries on 401 pass-rushing snaps. The second sleeper from the Toledo offense, Roberts is a tight end who looked incredibly fluid at Senior Bowl practices. 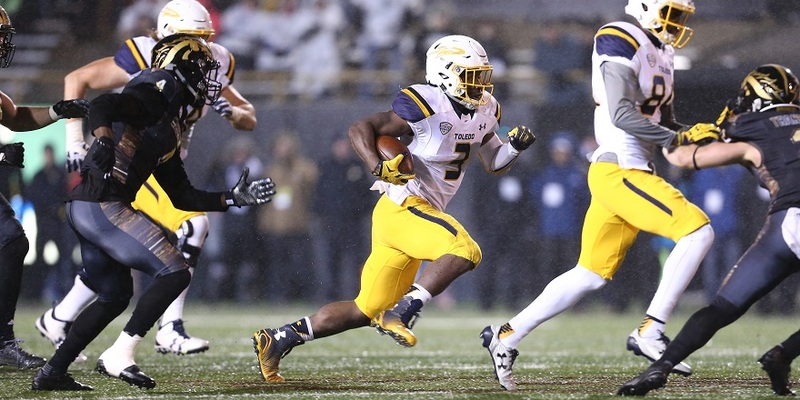 On the field for Toledo in 2016 he impressed too, grading well as a run-blocker and proving himself to be a red-zone threat in the passing game, with his 16 touchdowns double that of the next best tight end. Alabama’s Reuben Foster, Temple’s Haason Reddick, Vanderbilt’s Zach Cunningham, and Florida’s Jarrad Davis are likely to be the first four linebackers off the board come draft weekend. After that it opens up significantly, and Ohio’s Brown is someone who impressed us last season. Outstanding against the run, Brown also contributed in coverage and as a blitzer, where he chipped in with four sacks, two hits and 16 hurries.